Setting up a nonprofit organization can seem like a daunting task, however with a little know-how, it is simple to get 501(c)(3) recognition and be on your way to founding a charity or organization that follows your passion. Setting up a nonprofit organization can be a great thing to do when you see a need that is not being met in your community or world. However, it can be expensive, time-consuming, and difficult to establish once you have set it up. Think of a nonprofit as starting a small business - are you still interested? Putting it in these more "professional" terms sheds light on what the task of a nonprofit involves. From finances to legal matters, a nonprofit really is a business that specializes in a particular genre of benevolence. If you are worried about the foundation of a new nonprofit as being too overwhelming, do your research to see if you can perhaps partner with an already established group to make your dreams come true. You may want to look to see if there really is a need out there for the group you are proposing, and if so, really take the time to attend workshops, seminars and anything else available on nonprofit establishment preparation. While every nonprofit is developed slightly differently, there are a few steps that every organization should take when seeking out that coveted 501(c)(3) status that opens many doors for charitable organizations. First and foremost, develop a detailed business plan. Your IRS application will ask for details as to where your funding will come from, and this should be considered along with any other financial issues. The more detailed and thought-out your plan, the increased chance of success you will enjoy as you move forward in your endeavor. Secondly, you will want to be impeccably organized, or have someone on your side who is. Nonprofits are held accountable to the government like any business, and organization is the best tool you'll have in staying on top of everything from donor records to building maintenance. 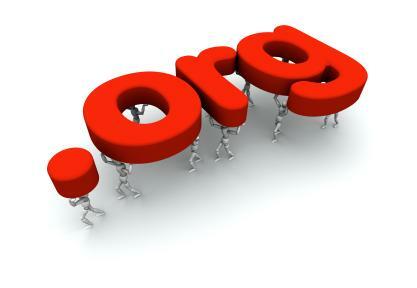 Every nonprofit needs a board before applying for its tax-exempt status. Look beyond your circle of best friends when recruiting for this board - instead, think about people you really respect and revere in both your personal and professional life. Who has the applicable skills necessary to launch your group successfully? Who will be helpful in the longterm when it comes to getting jobs done in a timely manner? Who do you turn to for sound advice and a logical perspective on a situation? These are just a few questions you may ask yourself before forming your final board. Finally, have a financial game plan. How do you plan to fundraise the money you need? Is there a way to secure sponsors to ensure you have the fiscal foundation you need to get started? After all of these issues have been addressed, you are ready to set up your nonprofit. Start by choosing a business name that is available and is acceptable under your state's laws. Next, file your articles of incorporation and pay any fees. You can then apply for tax exemptions at both the state and federal levels, and go on to create corporate bylaws. Finally, finalize your board and hold your first meeting.